Click the button below to add the 2015 Zipp 404 Firecrest Carbon Clincher G3 Rear Wheel to your wish list. R&A has paired Zipp's 404 Firecrest Carbon Clincher to a PowerTap G3 hub to make a power-measuring rear wheel that will be the envy of all your friends for both the aero benefits and power insight. 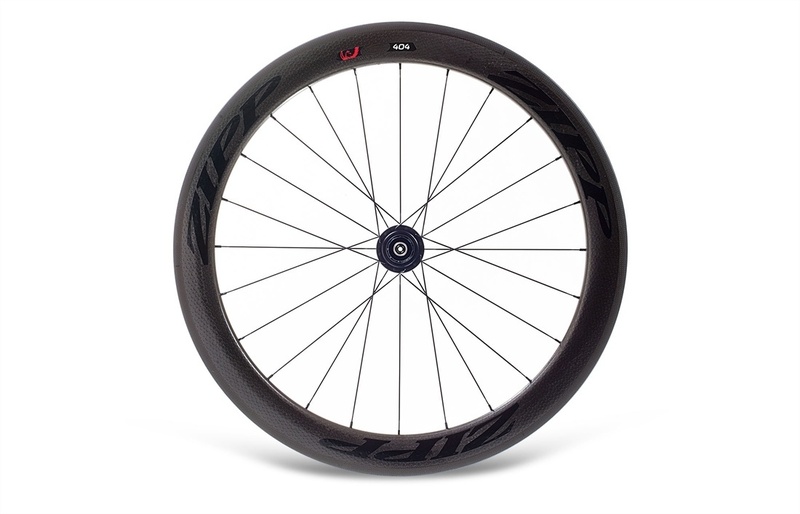 The 404 Carbon Clincher rim is Zipp's 58mm deep, 26.53mm wide speed demon. The Firecrest shape, which is blunt at the spoke end, quickly widens, and then tapers down to 24.73mm wide at the brake track helped shift the rim shape paradigm. The design is faster than V-shapes and more stable, too. Another benefit of carbon clinchers is sturdiness. Because they had to build the rim to withstand forces on the brake track in excess of 125psi, these rims are brutally strong. Yes, people race on them. But they're tough enough for cyclocross and daily riding as well. The G3 Hub, here in a 24-spoke iteration, is PowerTap's latest and greatest creation. It's the smallest, lightest, most conventional-looking hub they've created thsufar. It can almost pass for a regular hub, both in appearance and weight—only 325g. The G3 is accurate to +/-1.5%, more accurate than most meters on the market. As they reduced weight, they also made the unit more practical. The internals run on the popular 2032 coin cell battery, a size you can find everywhere. And if there's ever a problem with the unit, you pull the internals and just send that back to PT, and a new one can just as easily get installed. The wheel is laced with black-anodized Sapim spokes. The G3 hub comes with either a Campagnolo- or Shimano/SRAM-compatible cassette body. And when you want to switch, all you need to do is pull off the one you have and push on the new one. The wheel comes with Zipp's Platinum Pro Evo brake pads. Zipp not only worked on the pad compound, but on the shape of the pads to better fit in brakes, and even the vents got scrutiny. These are set to better clean and cool the pad for better, safer, more predictable braking. The wheel also comes with Zipp's Ti' Aero Skewer set. These are the "bullet" levers, which, when aligned properly, present almost no frontal area. The rim strip is also included. The Zipp 404 Firecrest Carbon Clincher PowerTap G3 Rear Wheel puts power data on a wheel where you'll want to know what kind of damage you're doing.